MOSCOW (Sputnik) – More than 360 refugees left the Rukban camp, located at the US-controlled zone in Syria, for the area held by the Syrian governmental troops, head of the Russian Defence Ministry's Center for Syrian Reconciliation Maj. Gen. Viktor Kupchishin said on Sunday at a press briefing. 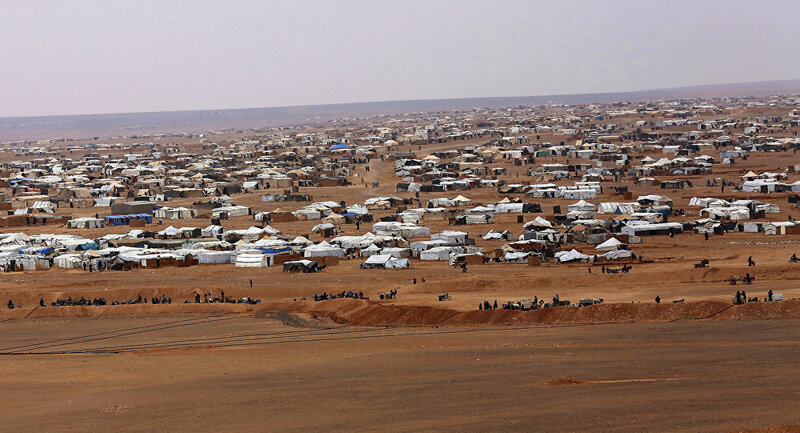 “On March 23, more than 360 refugees left the Rukban camp for the territory controlled by the Syrian government via the Jleb crossing point. They received necessary aid, they are provided with food and accommodation,” Kupchishin said. He pointed out that the Syrian government was guaranteeing security for the internally displaced persons, who are leaving the Rukban camp. Kupchishin added that on Tuesday the Russian and Syrian Joint Coordination Committees on Repatriation of Syrian Refugees would hold consultations at the Jleb crossing point on the gradual dismantling of the Rukban camp, with representatives of the United States, Jordan and international organizations having been invited to take part in the consultations.